Put simply, product management is a way to organize the planning, production, marketing and other tasks related to the creation and distribution of a product. It involves the coordination of teams, data, processes, business systems and more. In reality, product management can be a complicated matter. There are a lot of moving parts in the creation of any product, regardless of its size. Without a methodology and proper tools to manage the many elements that must be tracked throughout the life cycle of the product, the risk of failure is greatly increased. To understand product management and its challenges requires a deeper dive than a two sentence definition. There are, for example, complementary disciplines that can be part of product management, such as product development and product marketing. Their objective is to maximize sales revenues, market share and profit margins. What Is the Objective of Product Management? The main objective of product management is the development of a new product or products. This product should be better than what is currently available, or at least be able to differentiate itself as unique, in order to be of value for the customer. What determines whether the product is profitable and successful is the customer’s reaction. 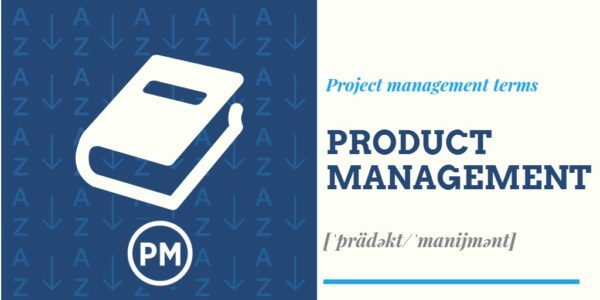 While product management can vary in its function and the roles related to it, according to the size of the company, there is always a product manager to make certain that the objectives of the product are met. This can be a person or a group of people in the organization. Product management doesn’t only add to meet the objectives of the product and organization; it can also choose to remove something from the process, which is called an elimination decision. This includes a detailed report on the impact that this elimination will have on the whole business. What Is the Role of the Product Manager? The product manager is the team leader who drives the team to a successful product end. To do this requires a strategy, and the product manager is the one who develops this line of attack, which is known as a product roadmap. But the product manager title can have many interpretations, and the term “product manager” is often used to describe very different roles and duties and responsibilities. Some factors that a product manager will consider are the customer, the end user and the competing products in the market. A product manager, depending on where they’re employed, can have additional functions similar to a product marketing manager, where they perform all outbound marketing activities related to the product release. They can also be like a project manager, dealing with schedule and resources, or a program manager with cross-functional execution. Whatever the responsibilities, a product manager is functionally an organizational role. But they are also responsible for establishing a vision for the product and following that up with a strategy to fulfill it—with the customer in mind. This involves a great deal of market research. With a vision in place, and an accompanying strategy, a clear plan for the product team must follow. This involves a project timeline and schedule to execute the plan. The product manager is therefore responsible for the creation of a release plan, which asks for feedback that’s taken into account when prioritizing the product features. A product manager is a cross-functional leader; they are the hub to a network of departments within the organization. These departments can include engineering, sales, marketing and other support teams. Because of these various lines of communication, it is critical that a product manager is fluent in dealing with a variety of different personalities and protocols. It is through the product roadmap that everyone is on the same page throughout the production. Like anything else, product managers have various entry points. There are associates, which are for less seasoned candidates, while a product manager is often more of a managerial position. Then there are directors of product management, a senior management position that reports to a VP of product or even the CEO. What Is Product Management Strategy? Product management strategy is not one thing, but changes depending on the organization. A product management strategy requires one to step away from daily tasks and look at the larger picture, but unfortunately many product managers can get bogged down in the day-to-day activities of their job. Like the product, the product management strategy focuses on the customer, who they are and how the product will fit in the current marketplace and achieve the goals of the organization. The strategy serves to help the team focus on what is most important for the customer and the business. Prior to the strategy comes the product vision, which feeds the strategy and in turn the strategy helps define the customer, business and completions. This all then goes into the development of the roadmap. The vision is usually decided by the CEO with help of the chief product office and other C-level executives. The vision is not a fantasy, but an idea that can become a reality with clear, actionable steps. That doesn’t mean it’s too specific, as the vision should have room to change according to customer feedback. The product strategy is set up by whomever is the head of product at the organization. It describes how the product management will allow the company to achieve its vision and business goals. This includes the target market and the method that will be used to achieve the business goals. All this is leading to the product roadmap, which is set up by the head of product with help from product managers, who have a closer understanding of their customers and the engineers who will be building the product. It has a description of what products and features will be made to achieve the strategy and vision. Also, it details who is responsible for building those product features. There are four key components to a product strategy. The first and possibly most important is the customer, what they want and how to get it to them. Therefore, defining the customer is a crucial aspect of any successful strategy. A strong understanding of a customer’s need is required before strategizing the product. The customer and the marketplace changes often, so allow for wiggle room to adjust the strategy with feedback from those customers. Next, understand the competition. Determine how your strategy will differentiate yourself from those that are offering similar products in the market. Know what your product can deliver that the competition can’t or isn’t currently addressing; this means studying the competition and analyzing the marketplace to see if you can discover any opportunities that aren’t being taken advantage of. Then, how will the product be profitable for the company? If your organization is for-profit, then making money is the bottom line. If your product is not addressing this concern, it is not going to be a success. Therefore, describe how the product you’re planning to develop is going to help the company meet its business goals and make money. Finally, don’t forget to consider the macro environment. The macro environment accounts for economic, technological, political and cultural forces that are at play and can impact the market and your product’s entry into it, over the short- and long-term. Therefore, think about emerging markets where there can be a demand for the product, new technologies, what economic trends are impacting your customers and whether or not your customers needs and behaviors changing. Product management is a complicated discipline with many aspects, all of which must be planned for and tracked to make sure they’re progressing on time and within budget. That’s where ProjectManager.com comes in. Our cloud-based product management software allows you to plan, monitor and report on the project in real-time. See how it can help you by taking a free 30-day trial.